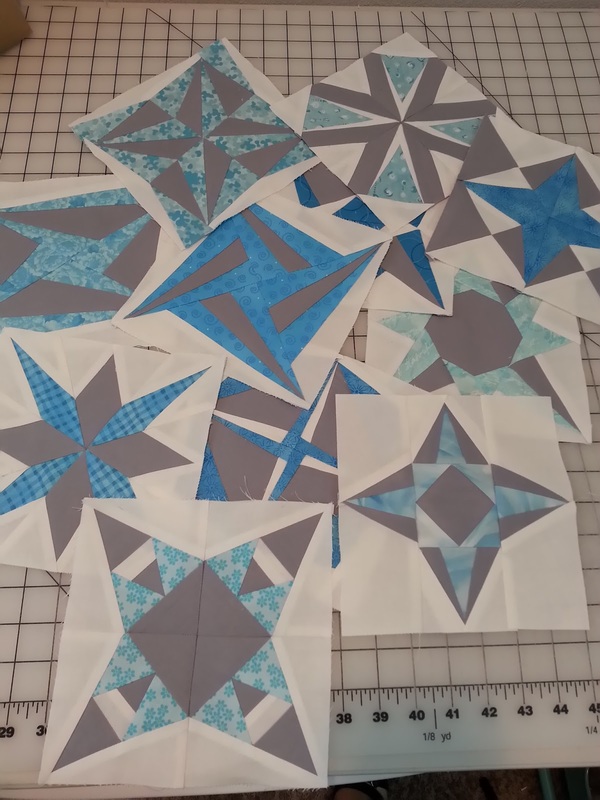 Adventurous Quilter: Adventurous Stars Progress! This morning I sewed my second last Adventurous Stars BOM block! 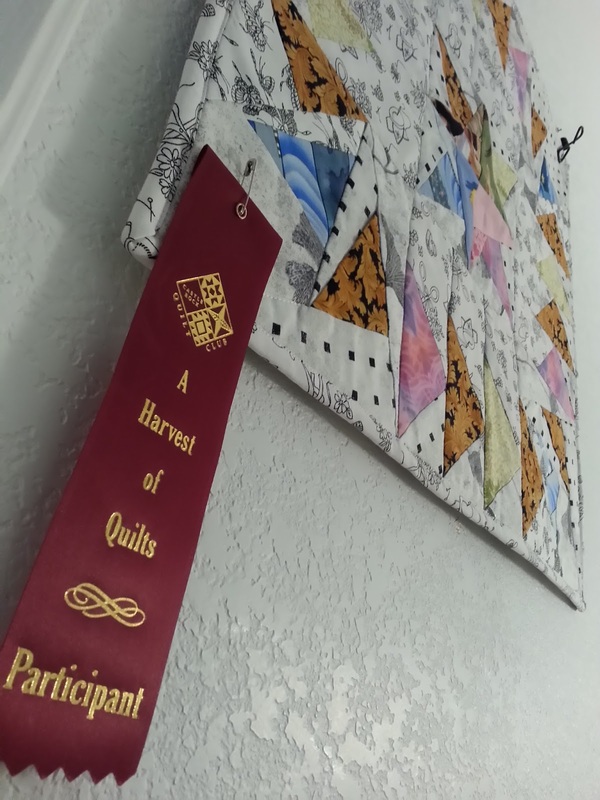 Can't wait to see this quilt become a reality! 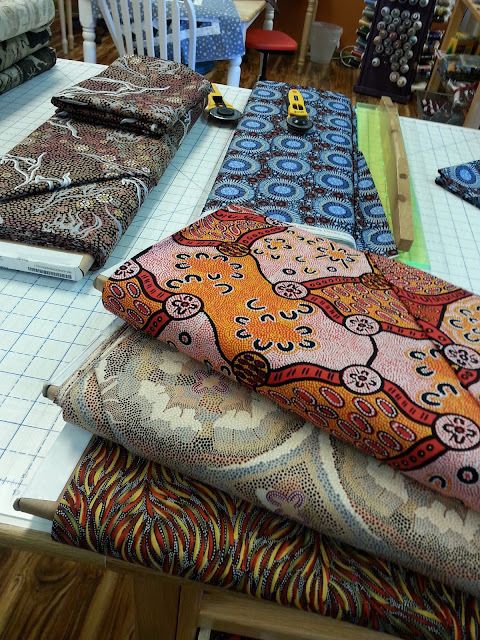 Then I went fabric shopping at a Denver Quilt shop I'd never been to and they had Aboriginal Australian fabrics! I splurged a little! 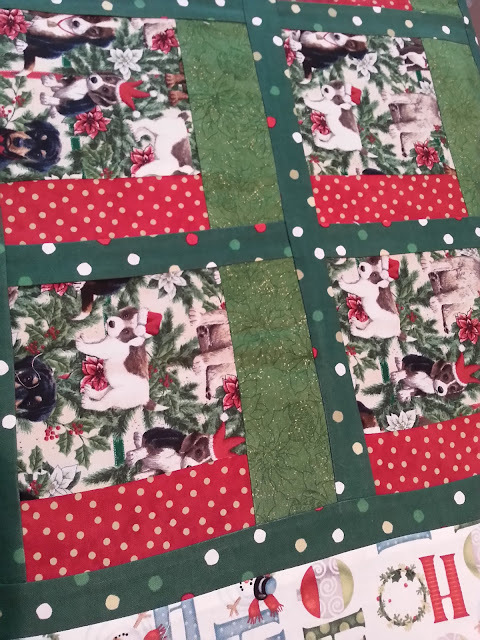 I sorted through my to-be-quilted pile this morning too, I moved this Christmas scrappy lap quilt to the top of the pile, hopefully Sunday I'll get it finished! And Earlier this week I hung my mini Circle of Geese Flying Around a Star quilt in the stairway to my basement studio, eventually I'll fill this stairway with quilts!